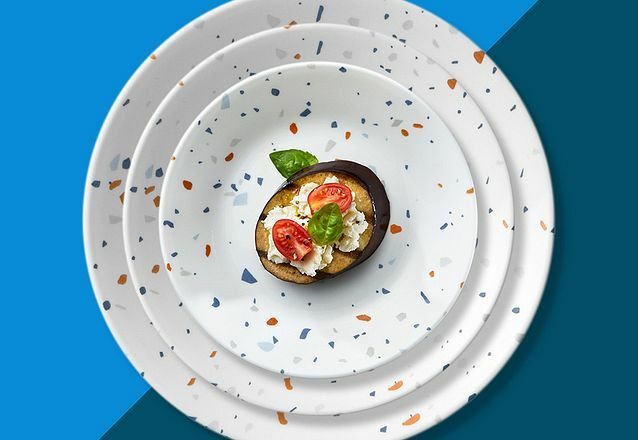 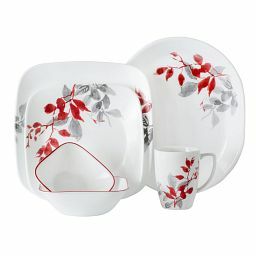 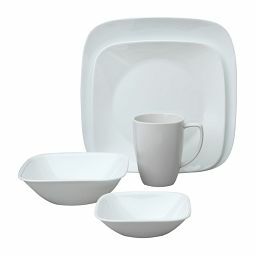 Draw a stylish line with this dinnerware set in mod black and white. 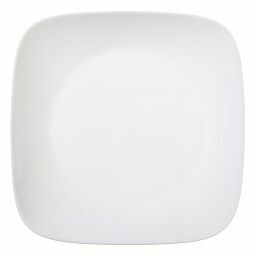 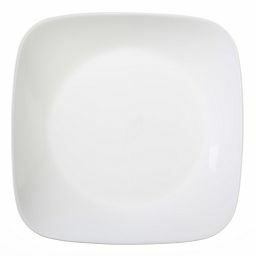 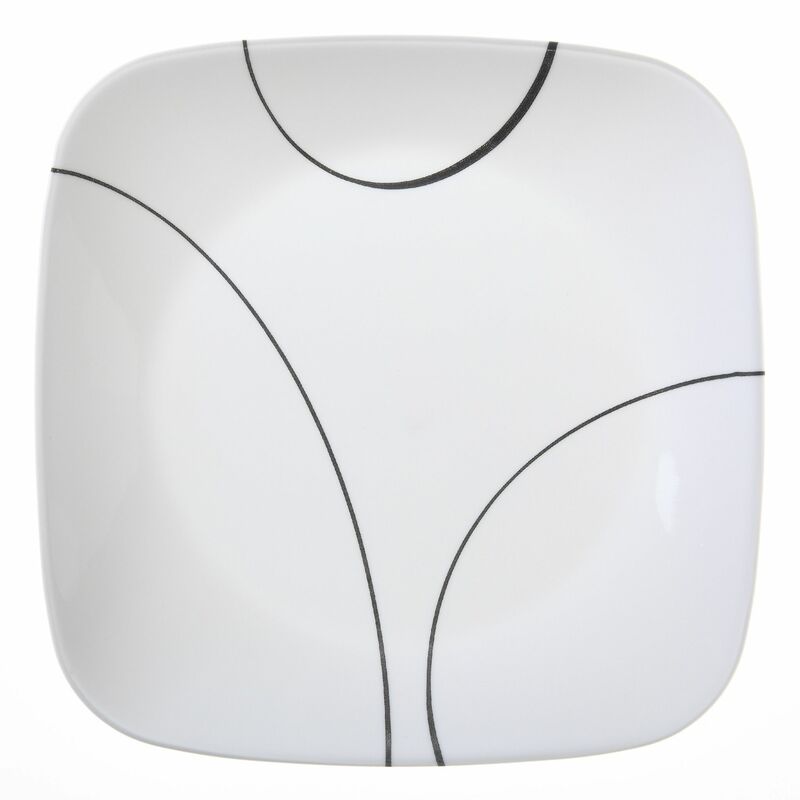 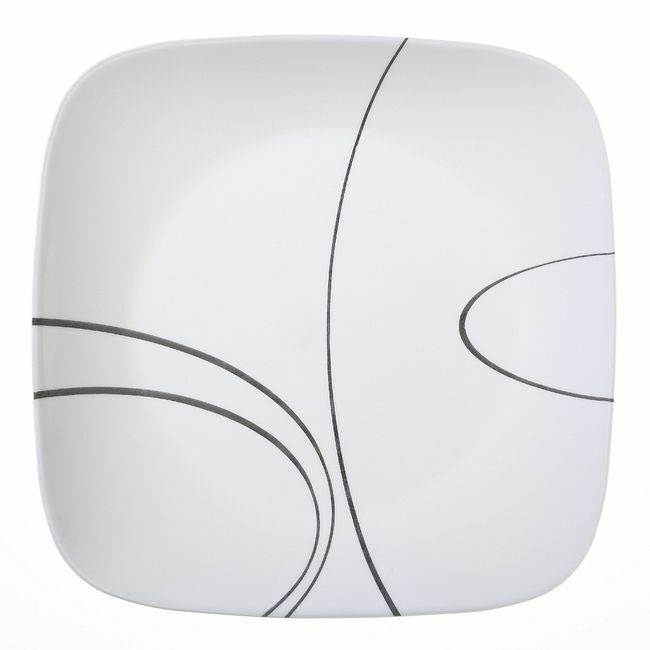 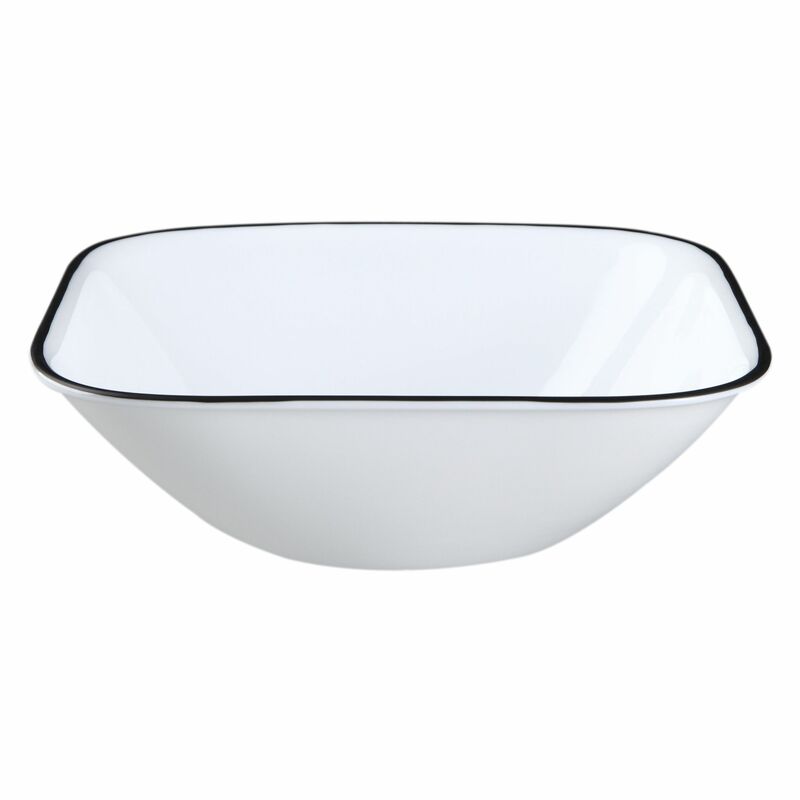 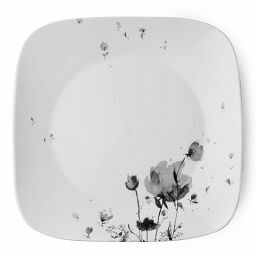 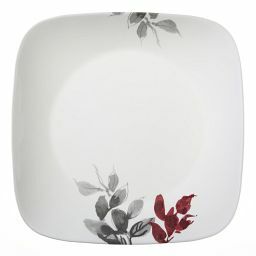 Modern black curves draw a stylish line on our white dinnerware. 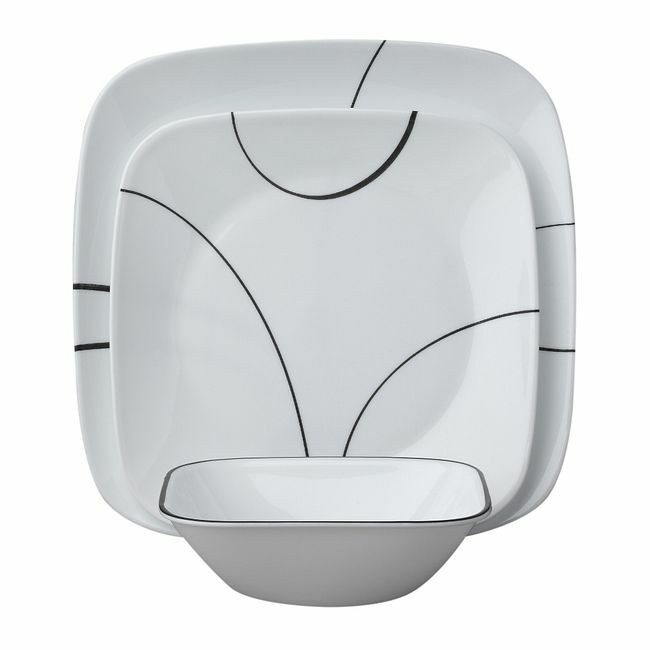 The sleek squared shapes have a contemporary look, while flared rims add user-friendly practicality.